A year after we started our website we published our first book, Minimalism: Live a Meaningful Life. Five years later, we decided to update Minimalism—not only with a beautiful new cover, but every single page is refined. This book has been a long time in the making. Its initial iteration, conceived in 2010 and completed in March 2011, was a 300-page how-to guide called Minimalism in 21 Days. A 300-page book about becoming a minimalist? This didn’t feel right to us. How could a book about minimalism—a book about reducing life’s excess—be 300 pages? We could almost taste the irony. Don’t get us wrong: it was a good book, far better than most drivel you’ll find on the Internet. But because we didn’t feel it was a great book, and because it lacked a necessary brevity, we did what any responsible authors would’ve done: we scrapped the entire project, published an attenuated version of Minimalism in 21 Days for free on our website, and started over with a blank page. It was difficult, but it felt like the only genuine way to create a meaningful book. The result was the first edition of Minimalism: Live a Meaningful Life, published in 2011 by Asymmetrical Press (there are plenty of used copies online if you want to check out that version). Much has happened, and many lessons have been learned, in the years since we published that first edition—hence, the second edition of Minimalism, which is finally available today. In their debut book, Joshua & Ryan, authors of the popular website The Minimalists, explore their troubled pasts and descent into depression. Though they had achieved the American Dream, they worked ridiculous hours, wastefully spent money, and lived paycheck to paycheck. Instead of discovering their passions, they pacified themselves with ephemeral indulgences, which only led to more debt, depression, and discontent. While re-reading Minimalism to create an updated edition, we were astonished by how well the book’s principles have endured. During every event, every interview, and nearly every conversation we have with readers, we find ourselves returning to the Five Values in this book. While we don’t use the pages of this new edition to expand on the past half-decade (our memoir, Everything That Remains, and our essay collection, Essential, accomplish that), we significantly updated Minimalism by expanding on the Five Values. Our website provides the ultimate how-to-start guide for free, as well as frequent updates by way of our online essays, which explore minimalism at a deep level, detailing practical ways to apply simple living to your life, and so we wrote Minimalism to be used in a similar, practical way (we certainly don’t want to waste your time). The ingredients in this book are designed to provide you with a basic recipe for intentional living, while allowing you to adjust the recipe to suit your own taste and lifestyle. Furthermore, while the entire book can be consumed within a day or two, it is organized into seven succinct chunks, which are better digested in a week, one chapter at a time. This book is different from the content on our website and in our other books. 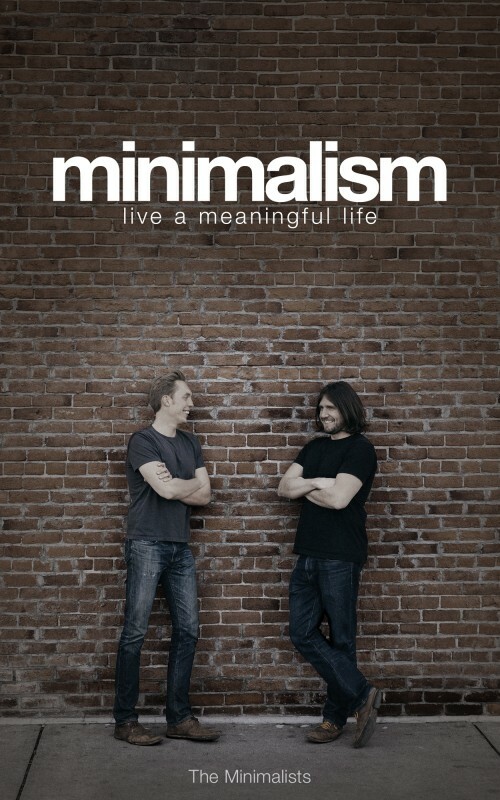 While our website documents our journey into minimalism and our continued growth through experimentation, this book discusses minimalism in a different way: it covers, in depth, the Five Values for living a meaningful life. It also provides insight into our personal lives, including the painful events that led us to our journey into minimalism. The book is written and organized to help you think about your life and how you live it; to make you do some work so you can step away from your old life and journey into a new one; and to help you realize you can change, you can re-select who you’re going to be, you can become the best person you’re capable of becoming—the real you: the passionate, loving, compassionate, disciplined, happy you.